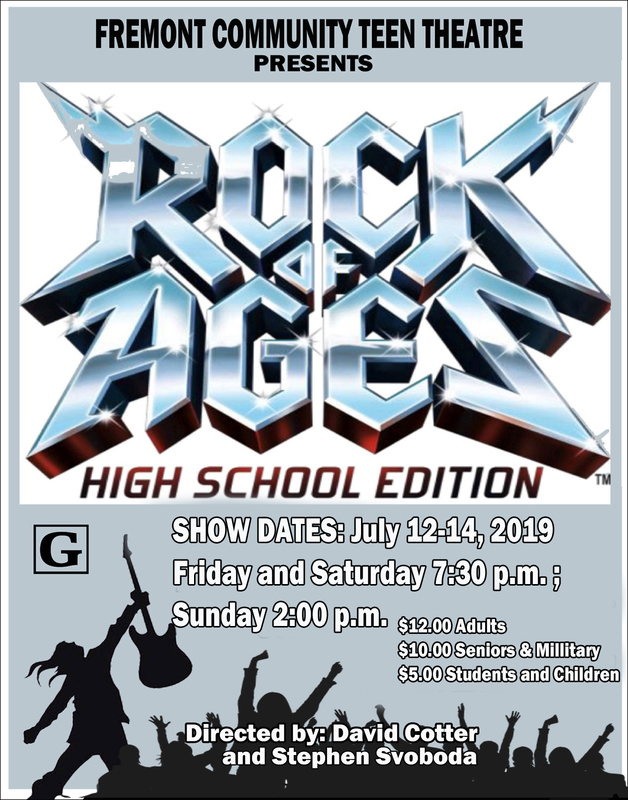 Fremont Community Teen Theatre is proud to announce auditions for the smash Broadway hit ROCK OF AGES (High School Version). Auditions will be May 13th and 14th from 6:30pm-8:30pm. Please prepare a song that shows off your range!